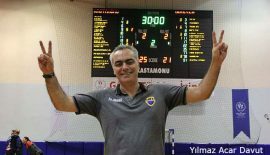 Hentbolhaber.Net reporters Aycan Ay and Berat Alemdar made an interview with Mr. Polat about everything you may interested as an handball enthusiast… Enjoy! Could you tell us about yourself and your professional career? Ercüment Polat: I was born in Istanbul, in 1968. Having graduated from the Kuleli Military High School and the Turkish Military College, I decided to switch to the private sector and joined Aygaz where I was to spend the next twenty years of my career. I complemented my studies with a master’s degree in management and organization, and completed the Executive MBA program of Koç University. My entire professional life was spent at Aygaz, beginning with the sales department and now working at the marketing department. How did the sponsorship of Mogaz for Beşiktaş begin and what were the expectations of Mogaz from this enterprise? Ercüment Polat: In the segment of bottled gas, we are providing services through our three brands, namely Aygaz, Mogaz and Lipetgaz. 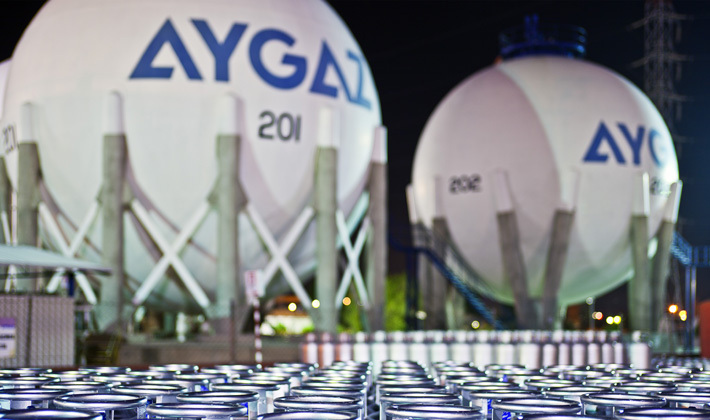 Being the brand that became the generic name for the product, Aygaz is well known not only in the LPG sector, but throughout the entire industry. Mogaz is currently the ranked as the fourth best brand in the bottled gas business, however it has certain traits that are open for improvement with regards to brand recognition. This is why we have wanted to invest more systematically, with particular emphasis on our Mogaz brand. Sponsorship for Beşiktaş Jimnastik Kulübü is a part of this investment plan. At the end of the year 2013, we concluded a sponsorship deal between the Koç Group and Beşiktaş Jimnastik Kulübü covering the club’s football, handball and wheelchair basketball teams. As an integral part of this agreement and our overall vision, we have become the sponsors of Beşiktaş handball team. We believe that handball and Mogaz are truly good partners symbolizing dynamism and energy. 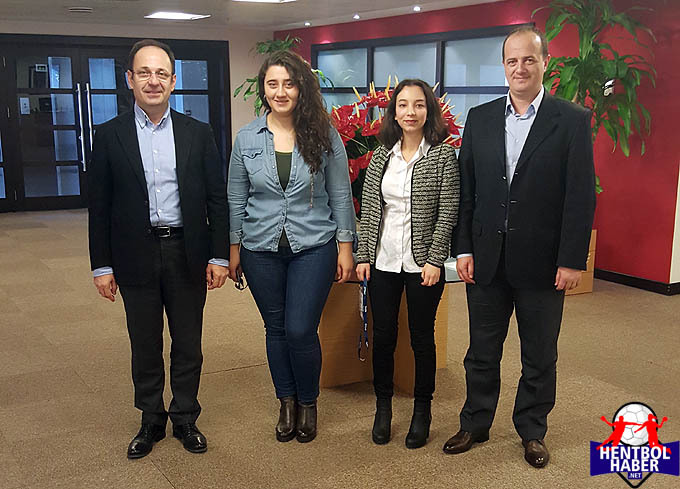 In line with the corporate social responsibility of the Koç Group and our company, we are supporting projects that are beneficial for the society and spark inspiration for a better future. 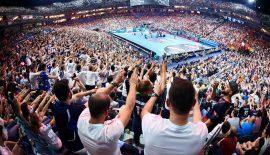 There were almost five thousand spectators at last year’s EHF Champions League matches against KIF Kolding Kobenhavn and FC Barcelona. It was believed back then that there was a huge potential for fans and players, and the hall would be fully crowded in the coming matches. Beşiktaş Mogaz was even admitted to the group stage of the EHF Champions League without having to play qualification matches. But now it looks like that there isn’t much interest, as was expected. Is there going to be different projects to increase interest and to maximize the returns for your brand? 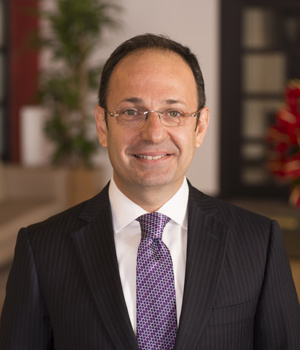 Ercüment Polat: It is actually not only big commercial expectations that we are focusing on. If commercial benefits had been our only goal, we would have then gone for the other branches of sports that are offering larger publicity, however our expectations are totally different. Providing such a support for handball makes us really happy. The handball community and Beşiktaş Jimnastik Kulübü are like a huge beautiful family. Opinions of handball payers and fans about our brand are so positive. We follow the feedback on social media to see how the names of Aygaz and Mogaz are being used. Interest for social media increases day by day and, as a result, so do the budgets allocated for social media activities. It is very important for us that the names of “Beşiktaş” and “Mogaz” are appearing together everywhere. I believe that we have managed to increase our brand recognition profoundly with this sponsorship. Could you please tell us more about the feedback there you are receiving? During the EHF Men’s European Handball Championships 2016, we as Hentbolhaber.net supported the live broadcasts with statistical data, and this was made possible with the support of Mogaz. There was a huge interest; we received a lot of messages during the live broadcasts. Could you follow this interest? Ercüment Polat: We have received very positive feedback. SportsTV is a broadcasting brand, which is truly professional in sports marketing. Handball fans and the audience were satisfied by the broadcasts. Through this medium a serious potential for this sport was recognized, and everybody has realized that interest for handball is much greater than what people thought. Football, basketball and volleyball already have lots of flowers in Turkey. What did you think when you saw five thousand fans at Sinan Erdem Dome last year? Ercüment Polat: First of all, the European Handball Federation was there and we had the opportunity to meet them. Our meeting was very productive. They wanted to be informed about our sponsorship. 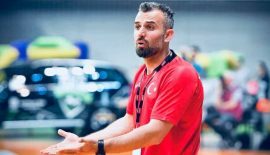 Beşiktaş Mogaz is a team that has managed to be the national champions seven times in a row; it purchases good players from other countries, and the European Handball Federation follows Turkey very closely. Paris Saint-Germain is a club known very well by almost every sports enthusiast in Turkey. But even in the match against them, there were only around 200 fans in the hall. In contrast, for the national league game between Göztepe and Beşiktaş, ten thousand fans are expected and the hall won’t be empty. VELUX EFH Champions’ League is a very big organization, but what do you think is the difference in the fan’s perception between the European competition and the national one? Ercüment Polat: If five thousand fans can come to a VELUX EHF Champions’ League match last year, reasons behind the drastic fall in numbers should be analyzed carefully, and it is very important to formulate and implement the necessary measures. We believe that there should have been greater interest for the match against a club like Paris Saint-Germain, which has enormous brand recognition. It is important to work on public relations to attract more fans to the hall. Ercüment Polat: I believe that a bigger synergy can be created here. The Beşiktaş community has already a big power of communication, with almost seven million followers on social media accounts. At the same time, Aygaz and Mogaz are the best known and respected brands, with the highest number of dealers. So, we have to think of ways of engage everyone in this process. You should not have a good communication in one match and problems in communication in the other. In order to make people love this sport, to gain fans, and to have success, different parameters need to be taken into consideration. Beginning with schools, handball should be introduced and played. There is a need for sustainable investment for all teams, with the support of sponsors. In the Eighties, basketball was not popular in Turkey either. But with a TV series called “White Shadow”, Turkey has met basketball and eventually basketball came to be managed successfully, gaining good sponsors. If real investments can be made, this would be the outcome. Unfortunately, these kinds of investment won’t provide results in the short run. We should keep believing and not lose our motivation. Handball is a sport that influences everyone who watches, it is dynamic, it is beautiful. So we should make people watch handball and be more active. For example, we invite our colleagues and their families to the games. And we have prepared fixture booklets, which we have shared with fans and dealers. In our company, we have created a special communication network for Beşiktaş as well. Do you have a team following the standing of Beşiktaş Mogaz, especially in the VELUX EFH Champions’ League? And how is the budget of Beşiktaş Mogaz being evaluated? Ercüment Polat: We do not make a special effort to follow. We are the sponsors of the team, and there is a club and its administration who are really professional and who know very well how to do their job. They know how best to evaluate the budget, and we do not interfere in this. When we evaluate the VELUX EFH Champions’ League, we should bear in the mind the conditions that we are in. 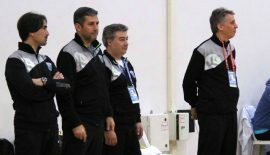 Considering the budgets, the strong handball culture and the large audiences of European teams, it is truly big success that Beşiktaş Mogaz can fight well against them under these conditions and with relatively smaller budgets. We should never forget this. This team has proven its indisputable success in Europe, too. And it makes us proud, that this success came during our time of sponsorship. The most important thing is the experience that the team and its players have gained by playing against the world’s best teams. There is no doubt that the team will preserve this success.